The X Factor is how you should utilize your head with your fiancé and how you should angle your faces and eyes to create intimate, natural poses and it all has to do with NOSE LASERS!. So, notice your nose, now imagine that there is about a 6in, red laser beam (or lightsaber) coming out of the tip of your nose. When you move your head, wherever your nose is now pointed, the beam is now pointed. Now imagine that there is a similar lightsaber coming out of your fiancé’s nose! When you both are staring straight at each other and looking at each other in the eyes, your laser beams are parallel to each other or literally on top of each other. In images, parallel laser beams come of cheesy and fake. What you should do is to slightly turn your faces so your laser beams cross and make an X. Now, this is very important! You must always create an X! They must never be parallel to each other! Having your nose lasers be parallel or on the same line is one of the biggest ways to make your portrait look cheesy and super cringy. 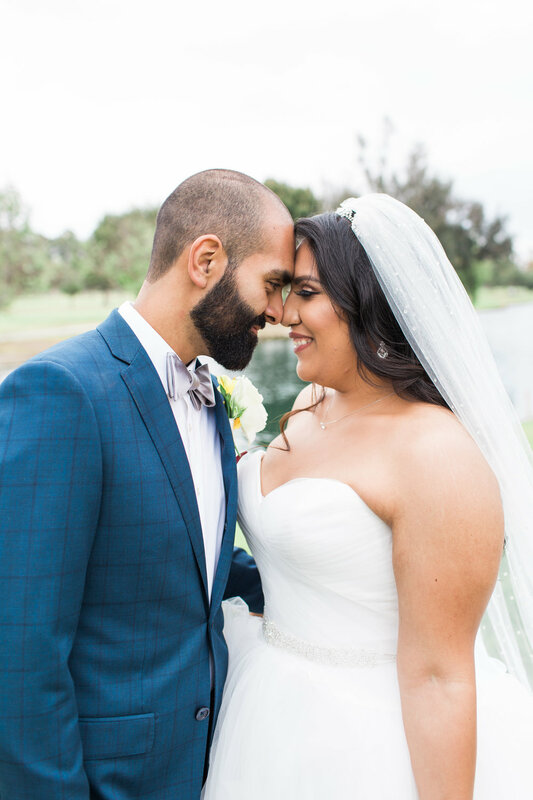 So instead of looking directly at your fiancé’s face and directly into their eyes when you are inside close to each other, simply turn one of your chins slightly to the side and down, and drop your eyes slightly down as well. This gives the portrait a more candid, elegant & authentic touch. Notice how there is no X factor, the lines from the nose are parallel. Although, if the noses were actually making an X, this would still be a cheesy photo. Can you guess why? If you answered the eyes you would be 100% correct! While it seems cheesy now, in the moment this is hard to spot. What makes the eye’s look “posed” unauthentic and trying too hard? It’s that it is not natural to make eye contact with someone when you are that far into their personal bubble. Think about being inside your partner’s bubble of personal space, it would be weird for you to have strong eye contact and one or both of you would feel the urge to take a step back. In fact, we feel an urge to close our eyes when someone gets that close to us as a social signal that you love and trust them. When you’re in that close, you must avoid eye contact with each other, one of you needs to close your eyes or even both. BUT! 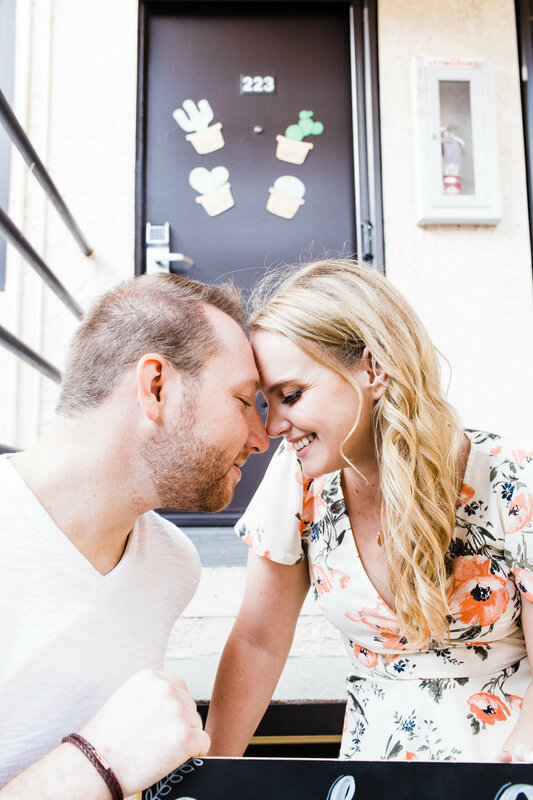 Knowing that intensely close eye staring is odd and a bit uncomfortable and using it to your advantage is a great way to get you and your fiancé to loosen up and to get genuine laughter. Next time you are with your fiancé get all up in their personal space and stare at them in the eyes. Don’t let your fiancé pull back, after a few seconds, both of you will start to smile and even laugh. If you then pull away you both will have genuine smiles and laughter on your faces. 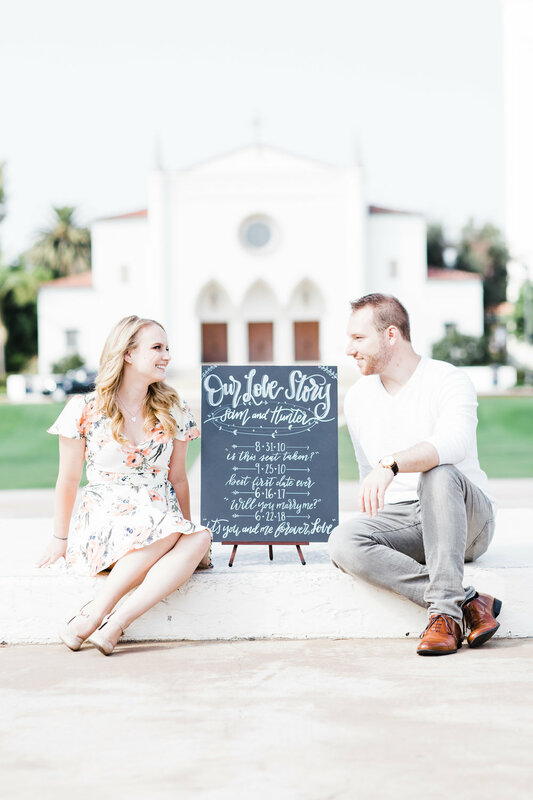 If you use that trick in your portraits you can grab some fun candids of you two laughing and it’ll help loosen both of your up for your photo shoot. Notice her elongated spine? & having the hand hold something? I asked them to stare at each other and get all up in their personal space knowing that they would start to laugh as they broke away and started to walk towards me. It’s a fun way to loosen up and get some genuine smiles! If you do want to look passionately into your fiance's eyes, creata some distnace from each other. You can also utilize a prop to provide context as to why you aren’t close together. The sign gives context as to why they are not close together. 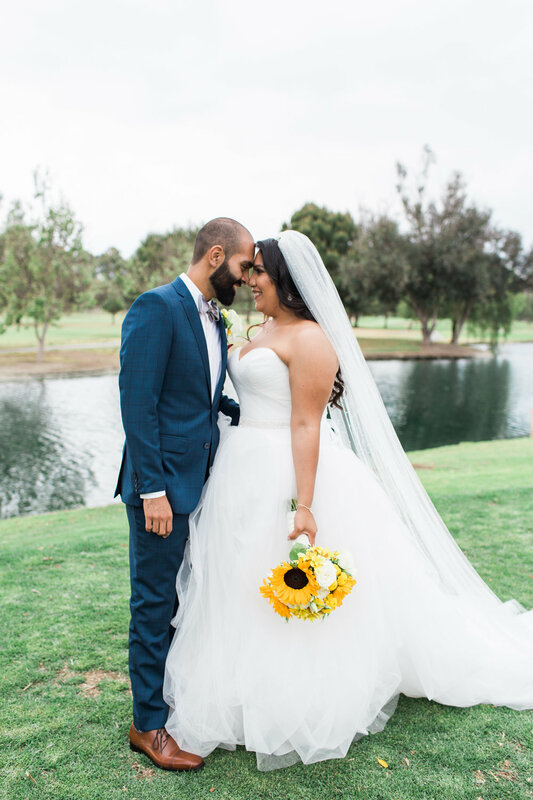 With space, they are now free to make eye contact with each other as the context of the portrait becomes their connection to each other and the important dates leading up to their wedding.